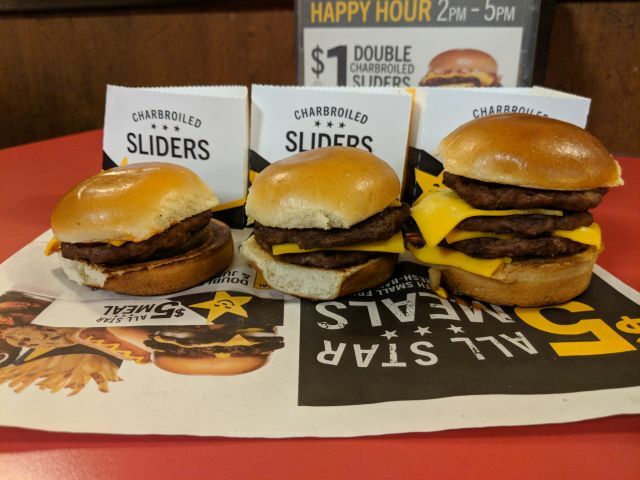 Carl's Jr.'s Charbroiled Sliders feature one, two, or three mini charbroiled beef patties with a corresponding number of mini American cheese slices plus mustard, ketchup, pickle, and diced onion on a slider bun. I got one of each for $1 (Single), $1.50 (Double), and $2.00 (Triple), respectively. In a nice change of pace, the condiments were applied sparingly (but properly) here so that they accented the beef and cheese rather than fighting for attention. The beef patties were especially pleasant here due to an excellent meat-to-bun ratio. The beef patties were actually wider than the bun, with a good thickness given the size of the slider. 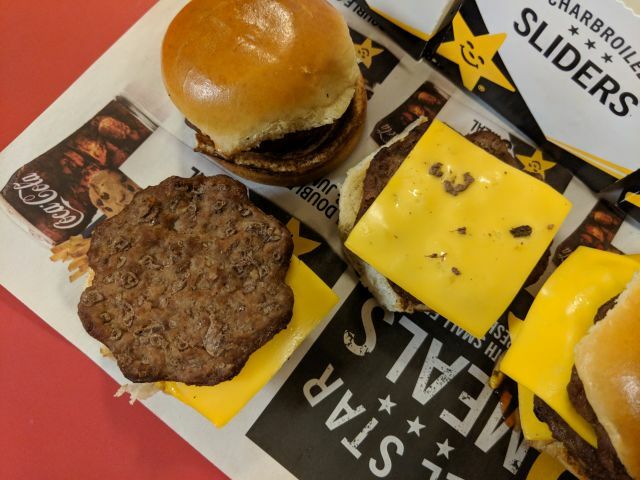 The flame-grilled flavor was definitely more notable versus Carl's Jr.'s normal-sized burger. The cheese was likewise more apparent but, sadly, was not melted at all. The bun was brioche-like and added a welcomed premium touch to the sliders. As far as which size tasted best, the Single was well balanced with each component's flavors coming through, but I preferred the Double for its more meaty and cheesy profile. The Triple ended up being my least favorite of the bunch as it was oddly too salty due to the abundant beef and cheese (and not the condiments). 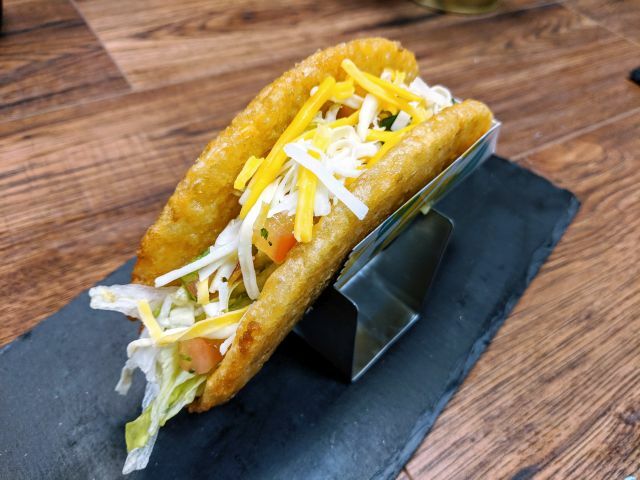 Additionally, it was too tall and hard to bite into as a result.